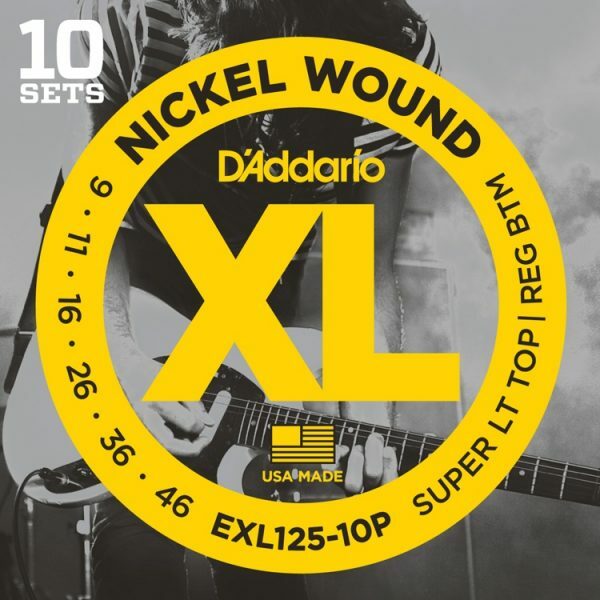 Convenient 10-Sets pack of D’Addario EXL125. 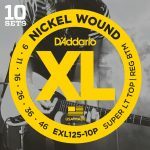 Best selling hybrid set, combining the high strings from an EXL120 (.009) with the low strings from an EXL110 (.046). 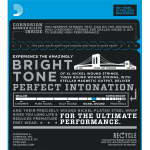 The result is a set with strong fundamental low end, but with super flexibility on the high strings. 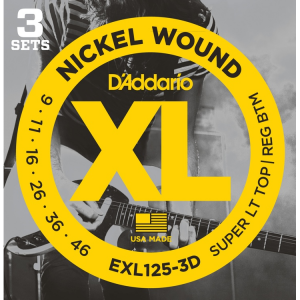 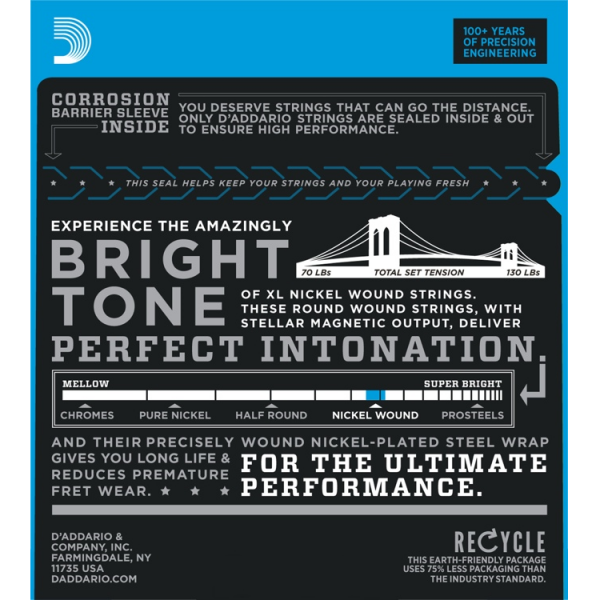 Convenient 3-Sets pack of D'Addario EXL125.